We are pleased to announce our 2019 Concerto Competition winner: Sean Loveland! 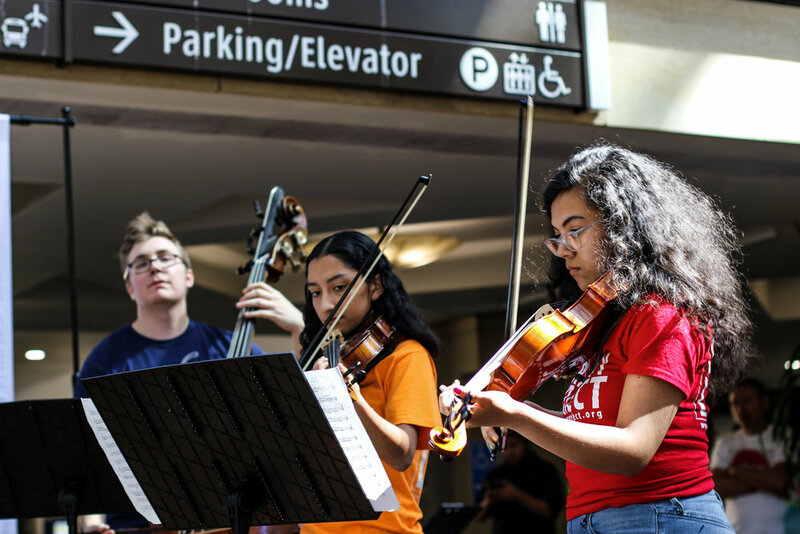 Harmony Project’s Annual Concerto Competition offers students a chance to perform at our year-end Gala, as well as our graduation ceremony, and win a cash prize. 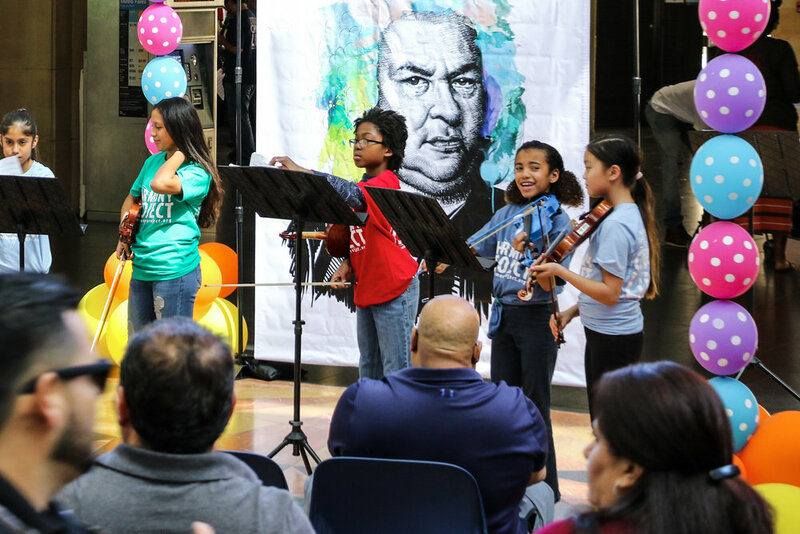 Participating is a pivitol milestone in a student’s musical journey. Students must perform an entire movement of a concerto from memory, solo. What exactly does it take to win a concerto competition? Check out this video for student and alumni perspectives on preparing and auditioning for a chance to win the prestigious title. 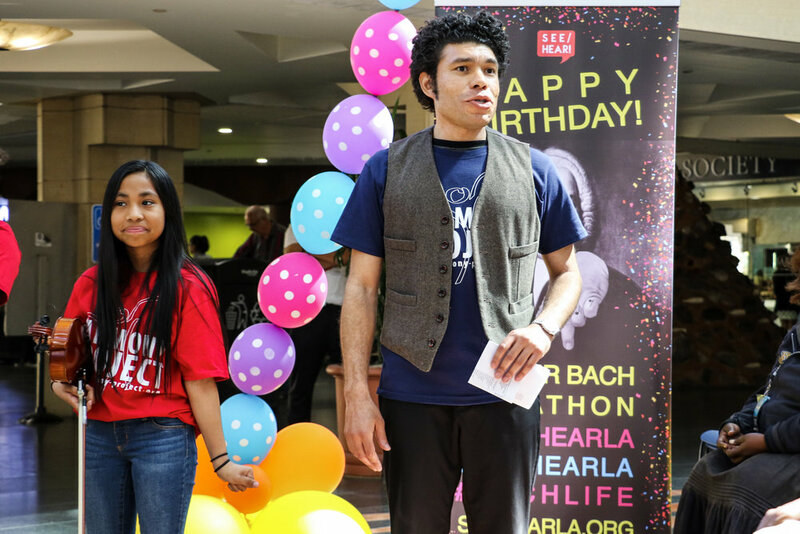 This year’s Bach Marathon was truly enchanting! 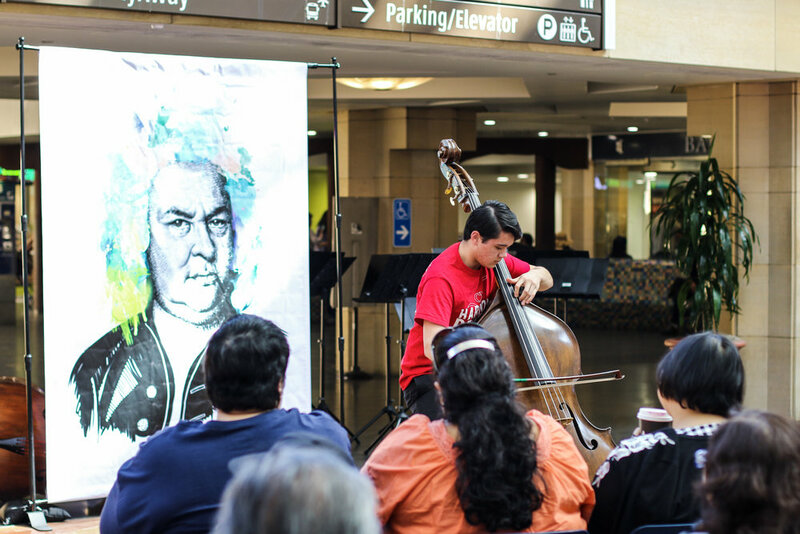 The 10-hour event, presented by see / hear LA and Metro Art celebrates the work of the renowned composer with a full day of Bach and Bach-inspired performances. 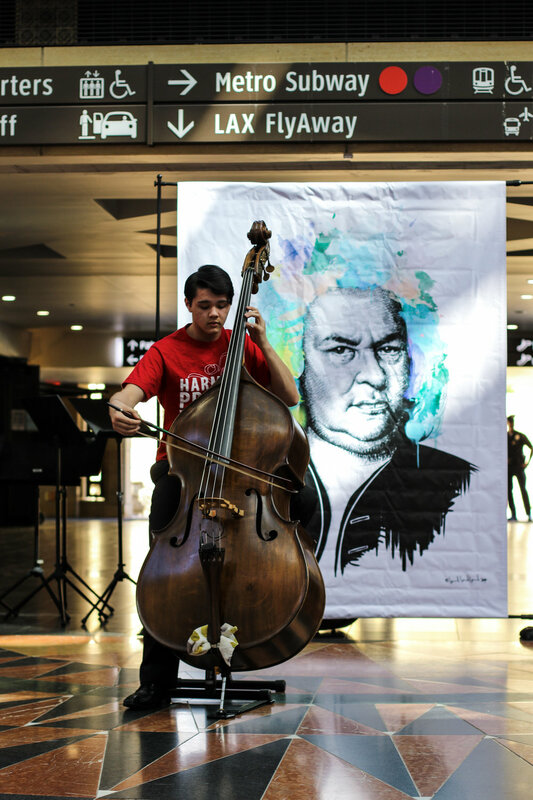 Harmony Project students and teachers took on the 2 - 4 pm block in Union Station’s East Portal. 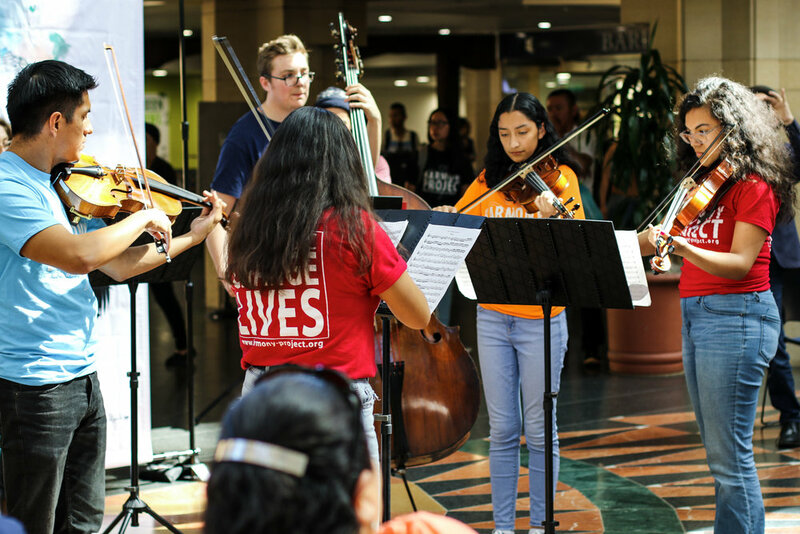 Some of Harmony Project’s most advanced string players took center stage for breathtaking solo and ensemble performances, evoking strong, emotive responses from the audience. 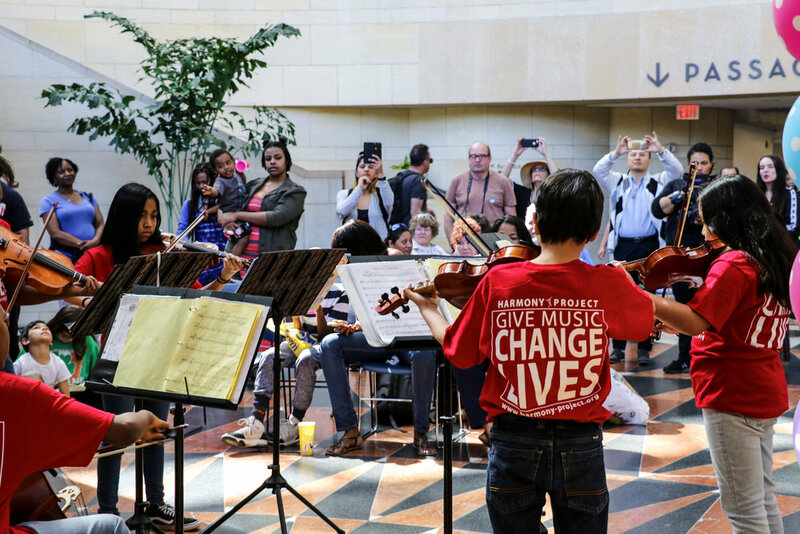 Union Station enjoyed a special performance from our teacher ensemble before our grand finale, which featured students and teachers from across Harmony Project sites playing side by side and even a few improvisations from some friendly station birds. Thank you to everyone who joined in on the fun! We can’t wait to come back next year! This semester is flying by! Luckily, Harmony Project seniors are well on their way to college readiness. 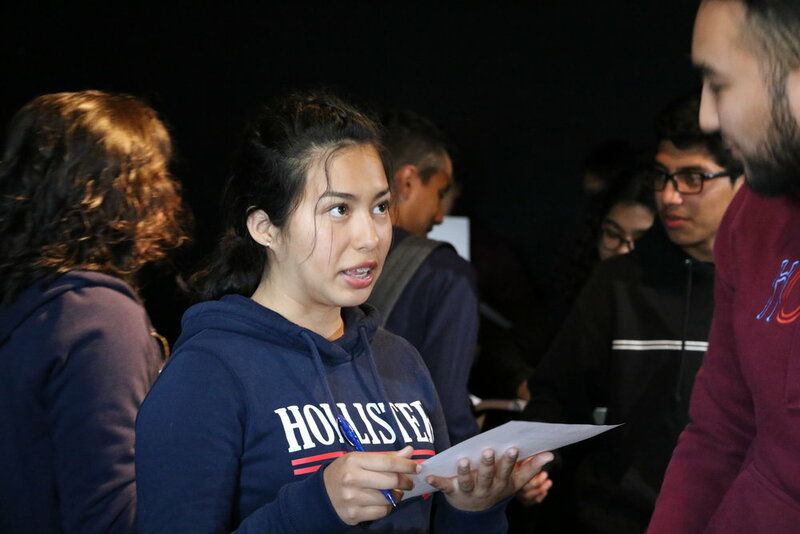 With the influx of acceptance letters coming up this spring, our College Access and Alumni Success team has been hosting a number of workshops for students and parents to ensure a smooth transition into college life. 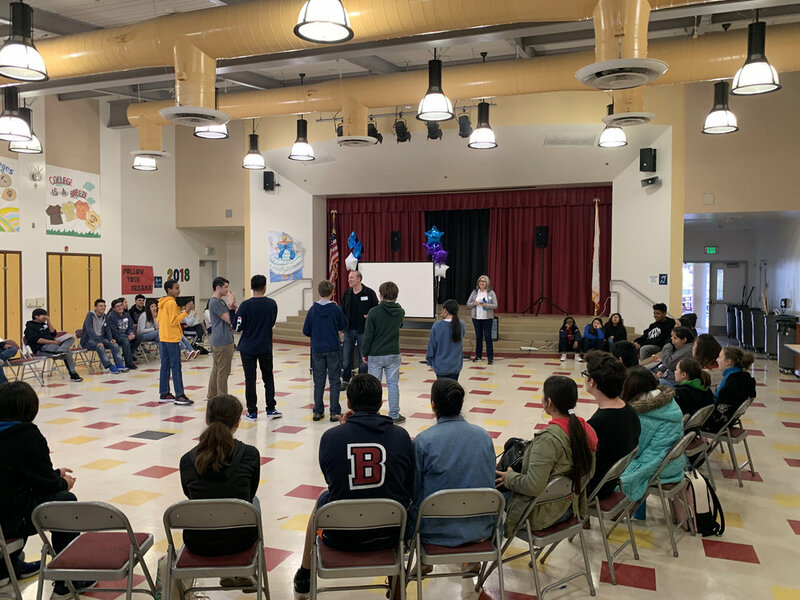 The latest round of workshops, presented with our partner ScholarMatch, was all about making smart college decisions and financial literacy. 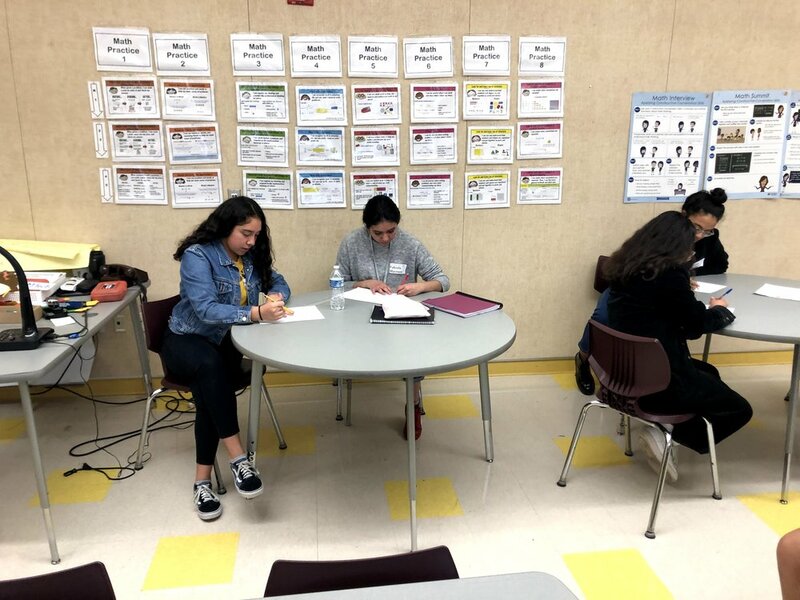 Students learned how to analyze a financial aid award letter, understand common financial aid award letter terms, and compare award letters when selecting a college or university. 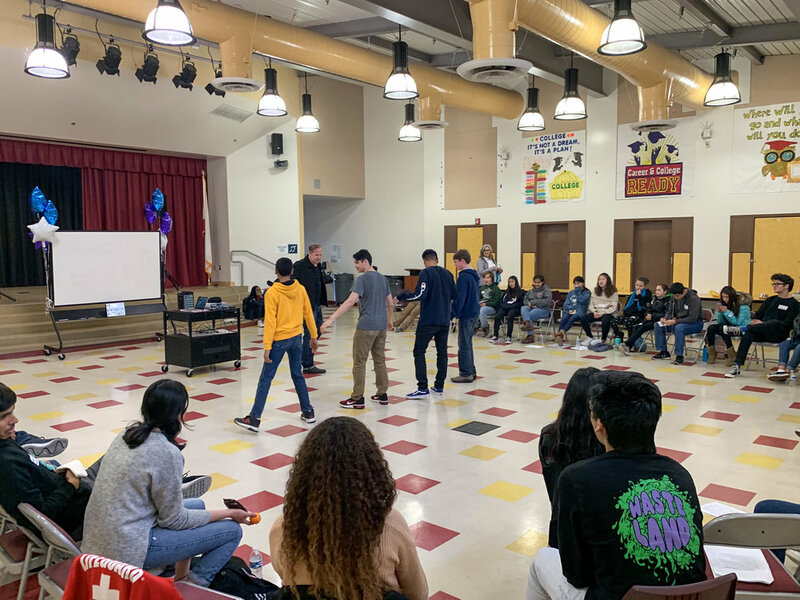 Earlier this year, Harmony Project families attended a workshop on interviewing and professionalism with specific resources for both students and parents. 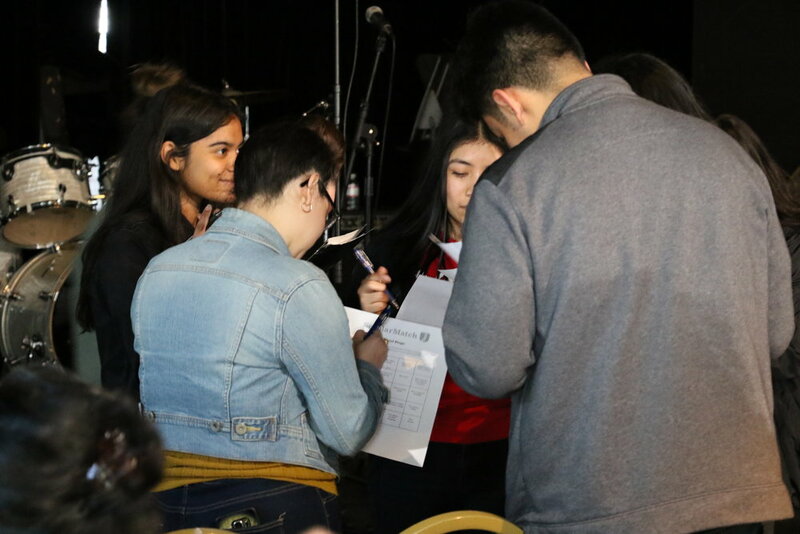 Participants drew parallels from their experiences as musicians performing in front of large audiences to nailing scholarship, admissions, and job interviews with confidence. It’s never too early to start preparing for college! 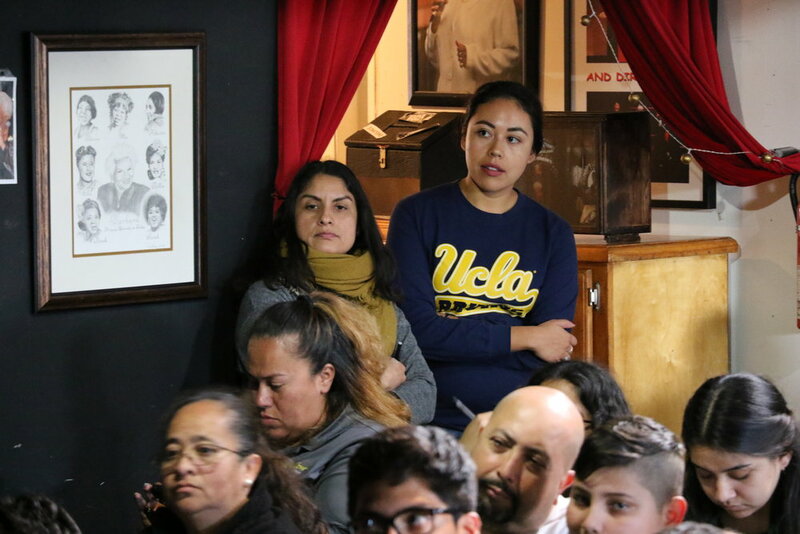 All Harmony Project students are welcome to get a head start by emailing our College Access & Alumni Manager Sasha Davila at [email protected]. Harmony Project is fortunate to have an incredibly passionate Board of Directors! Today we're highlighting Board Member Ramin Abrams, who will be running in support of Harmony Project in this year's Los Angeles Marathon! Ramin is one of Harmony Project’s newest Board Members and has a passionate devotion to our organization. His training at the Julliard School of Music in New York City in Cello and Double Bass along with his impressive history performing at well-known concert houses and some of the finest music festivals in the United States and Europe make Ramin an inspirational example of the way music can change a life. He’s also known for embracing the possibilities of new media and technology in transforming how performers and audiences engage with music. Ramin donates every dollar earned through his musical performances. On Sunday, March 24th, Ramin, joined by his father Clark Abrams - Chief, Money Laundering and Financial Investigations Unit, Office of the Special Narcotics Prosecutor for the City of New York - will run the Los Angeles Marathon with a goal to raise $10,000 for Harmony Project. Will you join Ramin in spreading the power of music? Donate now to help Ramin meet his $10,000 goal and be sure to cheer him on, alongside his father, at the marathon Sunday, March 24! Last week was full of Valentine’s Day celebrations across Harmony Project sites! Our EXPO Center Mentors surprised our younger orchestra with handmade valentines. Meanwhile, our Bradley Global students were treated to an all-school donut day thanks to one of our incredible board members. 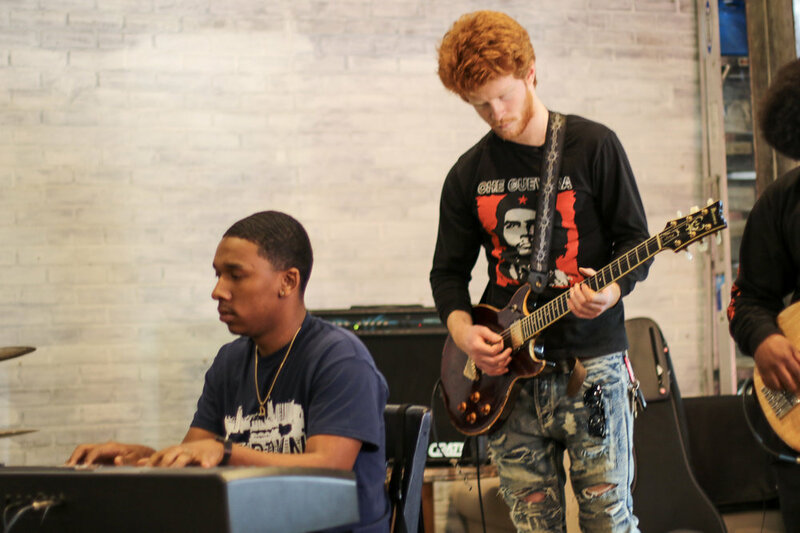 Harmony Project Alumni take on the 2019 Grammys! From the practice room to the award show floor! Thanks are in order to our friends over at CBS for all-access passes to the 61st Annual Grammy Awards! Harmony Project alumni Leilani & Nicole were thrilled to experience an unforgettable night with the stars! You can check out our highlights from the show on Harmony Project’s Instagram. 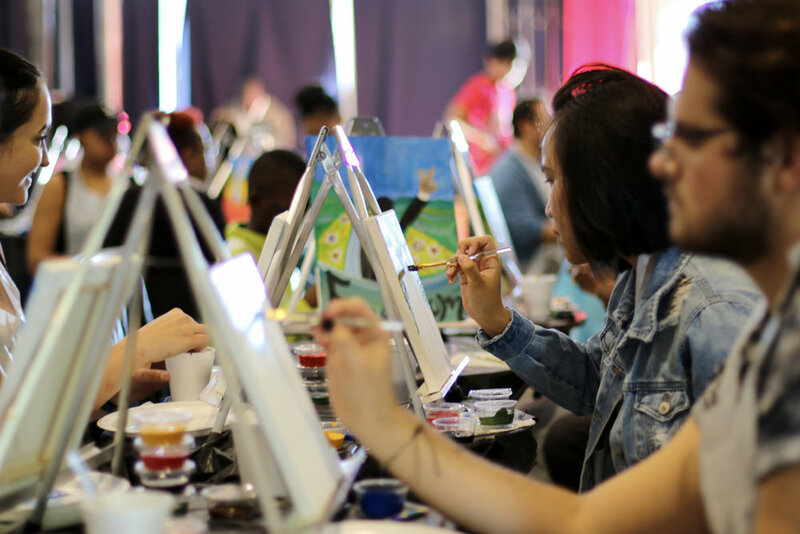 Whether through painting, music, or a combination of the two, art makes us feel free! 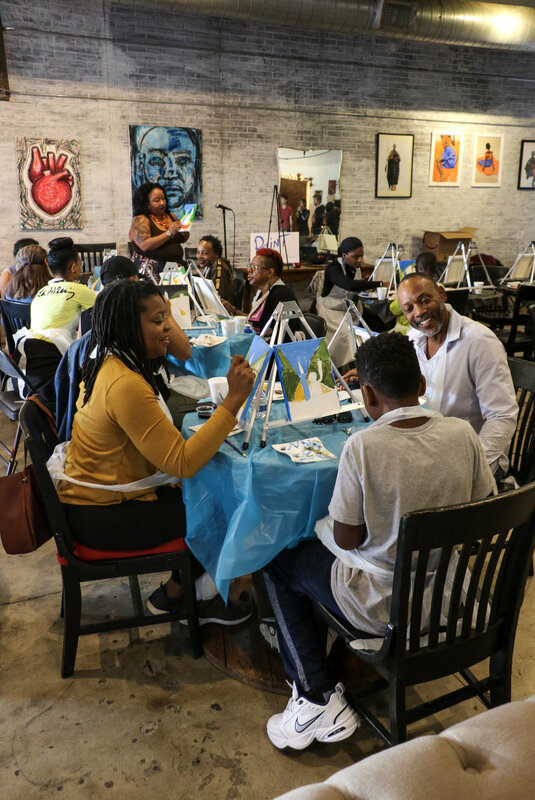 In honor this year’s Martin Luther King Jr. Day, our Leimert Park program hub - alongside our friends at Art Active LA - hosted a reflective afternoon potluck with family and community members. 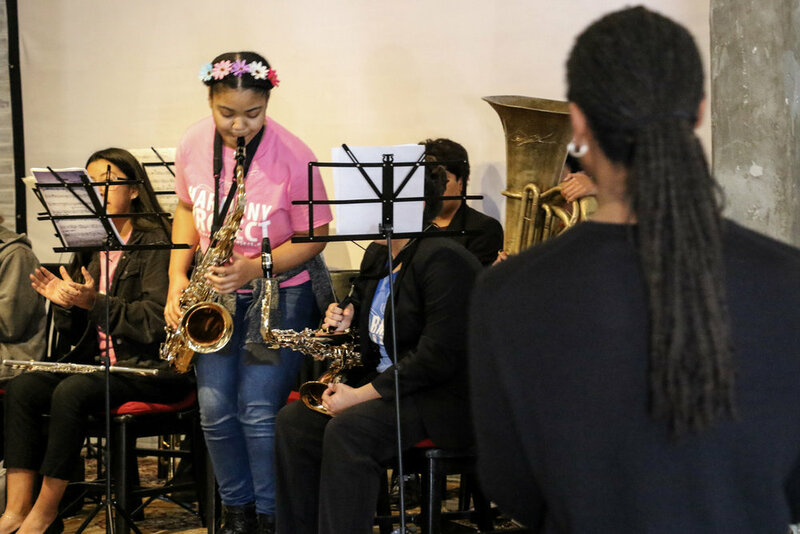 Our Leimert Park Funk Orchestra provided cool jazz and funk covers of popular songs throughout the afternoon, highlighting compositions from Black musicians across the Americas. 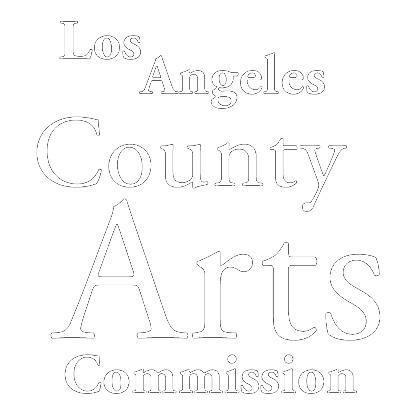 Art Active LA fuses the arts and mindfulness to create a refreshing approach to arts education for youth. 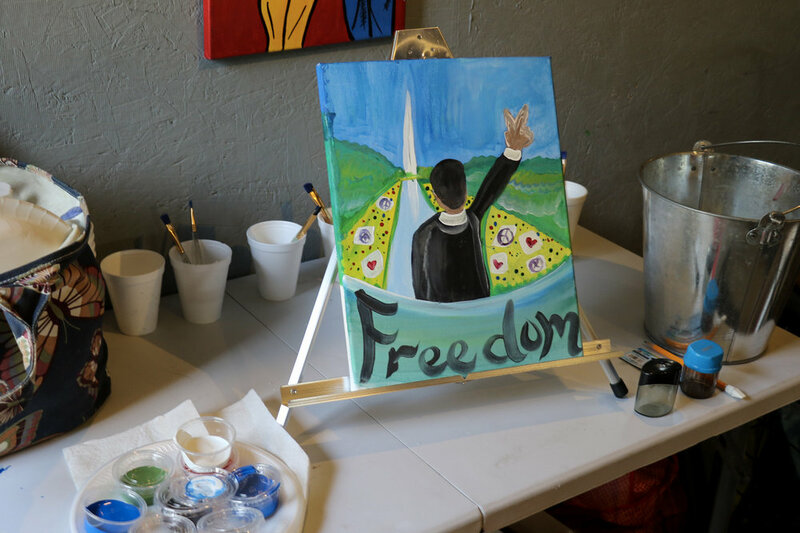 With help from Apple community volunteers, musicians and community members were led through Dr. King-inspired painting and sculpting activities. 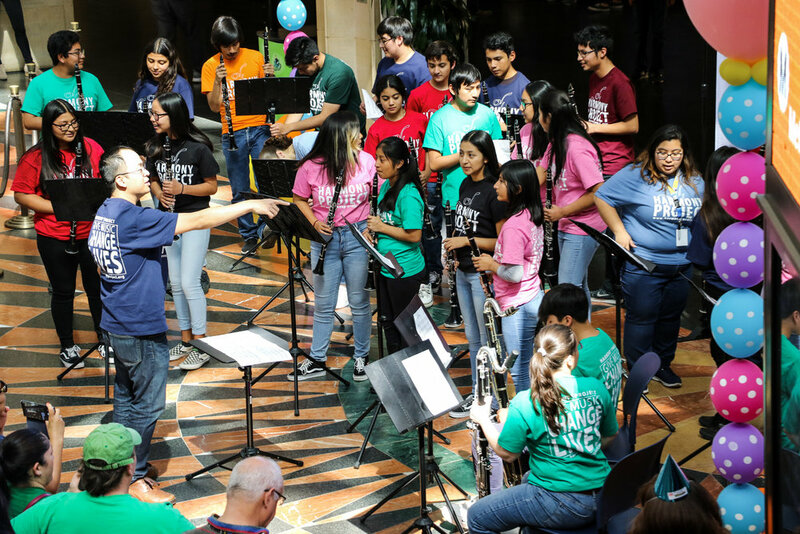 Before closing out the program, Harmony Project Alumni took the stage with their band, Colors, which has a mission to promote diversity through musical collaboration. 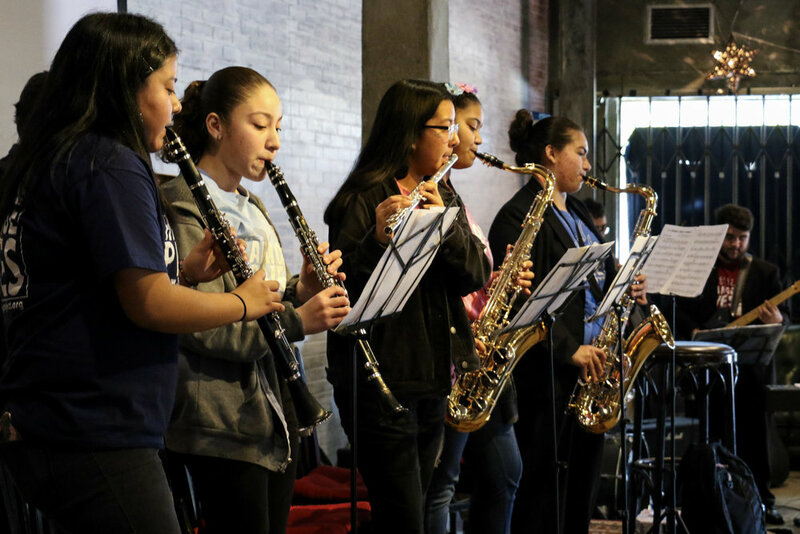 Our friends at Palaver Strings came all the way from Boston to share their improvisational skills with Harmony Project students in a week-long series of workshops. Check out this video to see what we came up with! 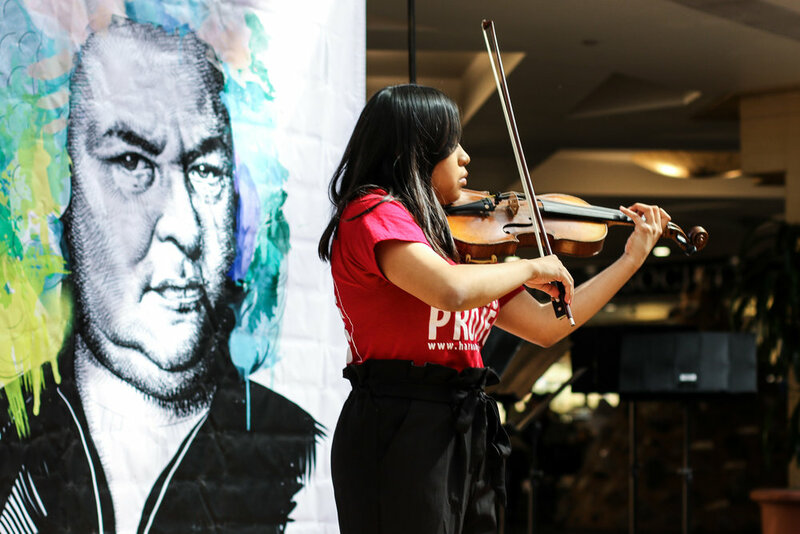 Palaver Strings is a musician-led string ensemble and nonprofit organization sharing music with diverse audiences in and beyond the concert hall. Learn more on their website. 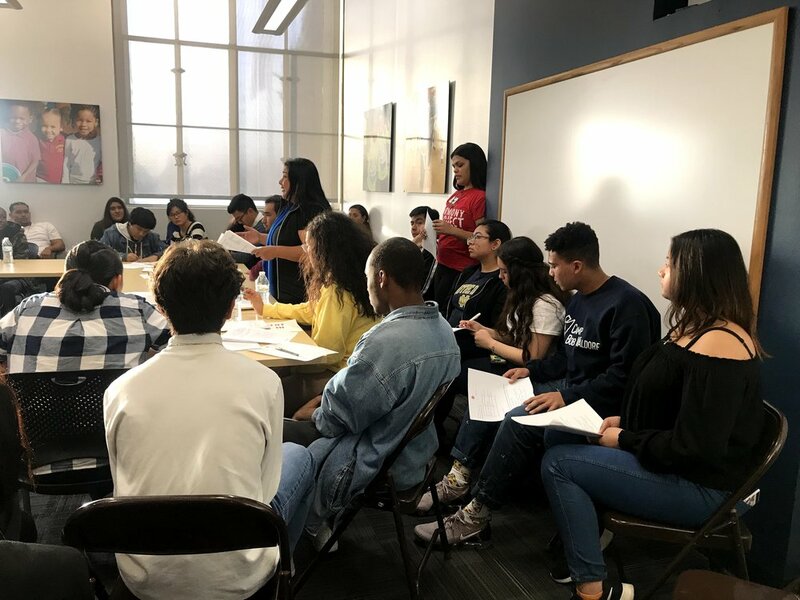 Starting the New Year strong, Harmony Project’s student mentors recently convened at our Hollywood site for a productive, full-day Mentorship Retreat. 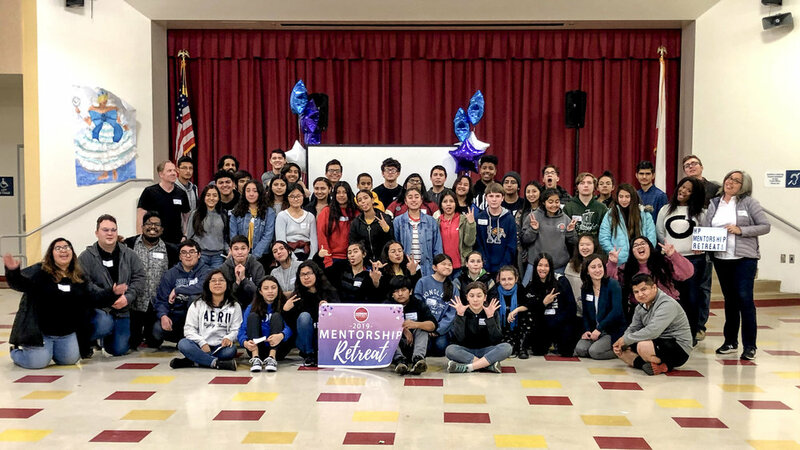 50 mentors representing HP program sites across Los Angeles spent the day discussing the state of their communities, presenting their mentorship best practices, and sharing aspirations for the coming year. 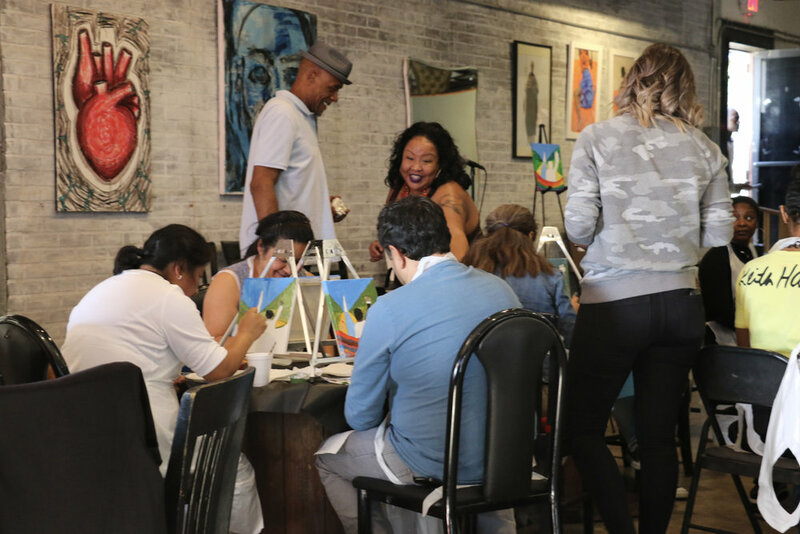 Since the program’s launch by CEO Myka Miller in 2009, Harmony Project’s mentors have gone above and beyond their duties as teaching assistants to younger students and have used their platform to both amplify and respond to problems they see in their communities. 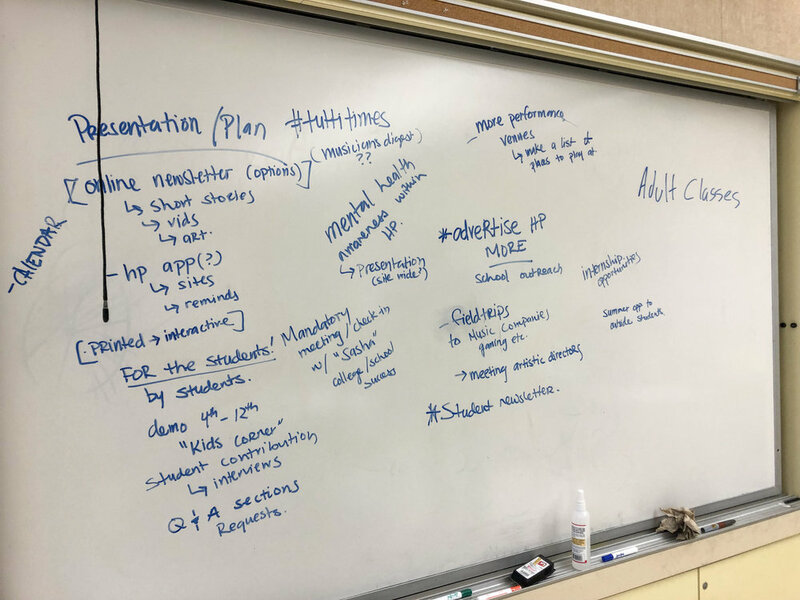 During this year’s retreat, mentors expanded on this by generating solutions to those problems to be implemented across all program sites, and we’re super excited to see these ideas put into action throughout the year! Mentors - you’re brilliant! We’re with you every step of the way to accomplish your goals! Are you a current Harmony Project student interested in becoming a mentor? Contact your site’s Program Manager to get involved! 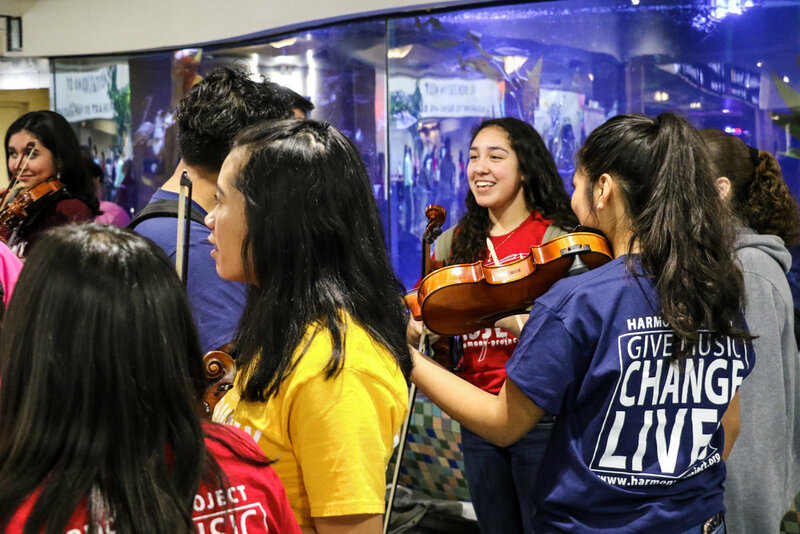 In 2018, Harmony Project students made memories they will cherish forever thanks to your support. As we wrap up another year of amazing concerts, partnerships, and holiday hustle and bustle, we'd like to share our 2018 Harmony Memories video and reflect on those who make our work possible - supporters like you!